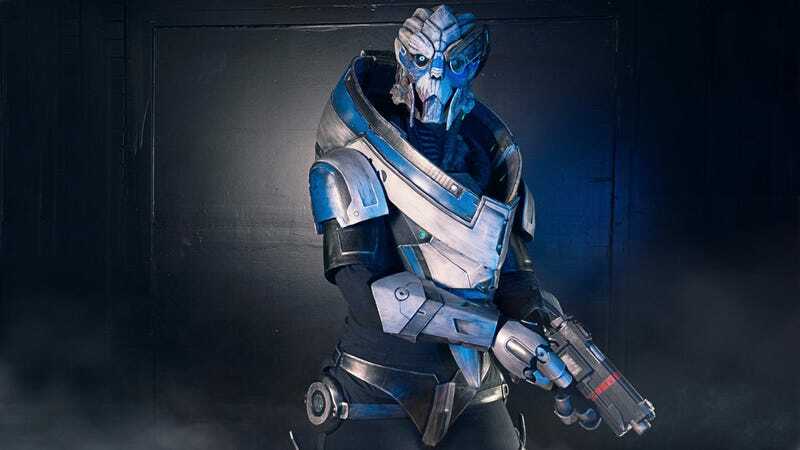 I've seen some quality Garrus cosplay in my time, but never something this damn impressive. There's so much quality here, from the brushed metal effect on the armour to the hands, but it's the face that gets me. It's just so perfect. Cosplay is by Sarrah Wilkinson, photos by Sam Mort.